Hitting the market in October 2015, Honey Baby Naturals has certainly become the bee’s knees, securing independent beauty retailers as well as Target, Sally Beauty, Walmart, CVS, Meijer stores across the world. Former chemical engineer, Aisha Ceballos-Crump created the products to meet the various needs for her three kids‘ unique hair textures and now Honey Baby Naturals is all the buzz amongst naturalistas of all ages in the African American and Afro-Latina communities. Her products stemmed from her grandmother‘s secret hair ingredient “miel,” or honey in Spanish. Honey Baby Naturals was created for mothers who are still searching for amazing and effective products for their kids and their entire family. 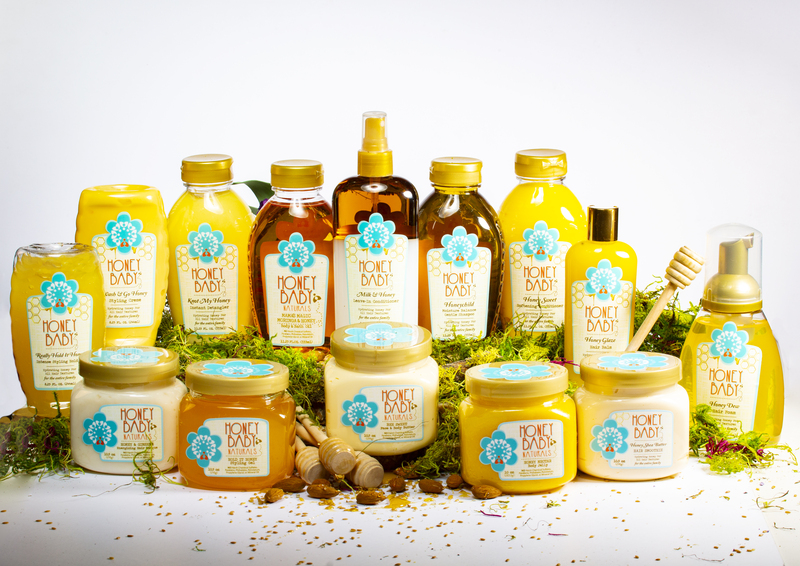 Honey Baby Naturals is a premium-honey derived hair care & skincare line with the core platform of Hydrate. Heal. & Protect. The 10 treatment & styling products consists of quality ingredients such as honey, shea butter, aloe vera juice, coconut oil, mango and ginseng to name a few to assist with dry, colored and low porosity hair issues. All of products are SULFATE-FREE, Paraben FREE, Petrolatum FREE and any other harmful chemicals. Made with Honey. Made with Love.